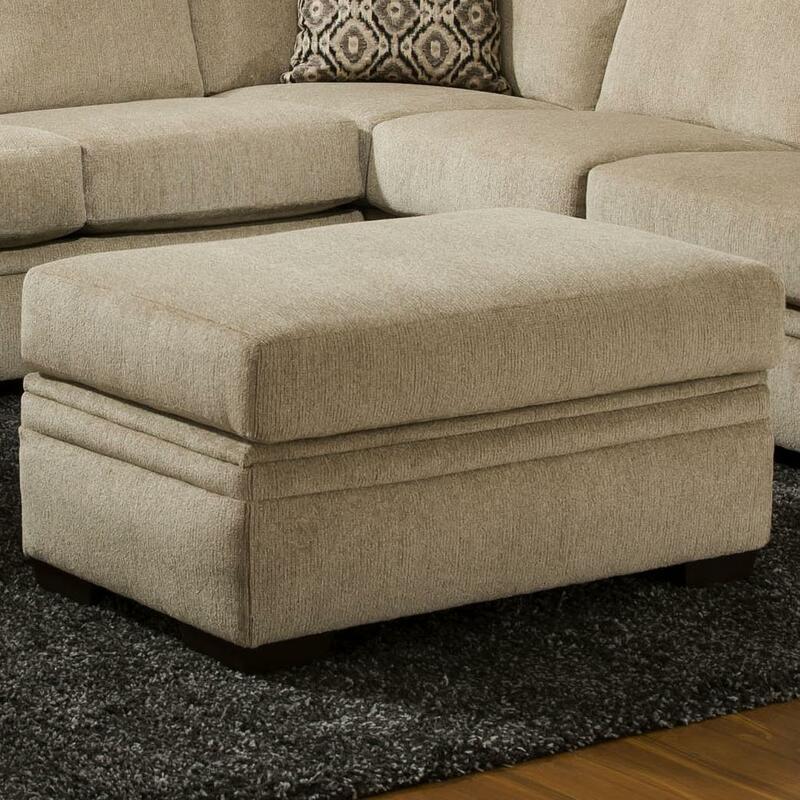 Offering extra storage space and a stylish casual contemporary look, this storage ottoman is the perfect addition to your living room. The versatile piece opens to reveal storage space for blankets and pillows, and the ottoman can be used for extra seating or as a cocktail table. Minimal detailing and block feet complete the piece for a casual contemporary look. The 6800 Storage Ottoman with Block Feet by American Furniture at Miskelly Furniture in the Jackson, Pearl, Madison, Ridgeland, Flowood Mississippi area. Product availability may vary. Contact us for the most current availability on this product. Fabric Options Available in upholstery option(s) shown. 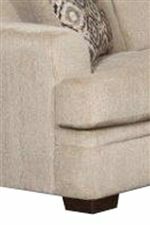 Additional upholstery options may be available through special order methods. Leg or Skirt Exposed wood legs in a casual block style. Your living room should be a place where you go to feel relaxed. Where your family gathers after long days and where you celebrate special occasions year after year. With this living room and family room sectional collection, you can now achieve the look, comfort and relaxation you desire at a price point that is slightly more affordable. Made to be stylish at a lower price-point, items in this collection will serve their purpose well with a casual-contemporary style that is fresh and urban. The 6800 collection is a great option if you are looking for furniture in the Jackson, Pearl, Madison, Ridgeland, Flowood Mississippi area. Browse other items in the 6800 collection from Miskelly Furniture in the Jackson, Pearl, Madison, Ridgeland, Flowood Mississippi area.